For most SMEs in the photonics industry, China is an interesting – but challenging – market. China is surpassing the United States to become the largest single market in the world, which not only means huge demand for goods and services, but also a need for innovation in order to cope with a rapidly evolving society and economy. Factory labour costs have doubled in the last 10 years and quality requirements have become more stringent. 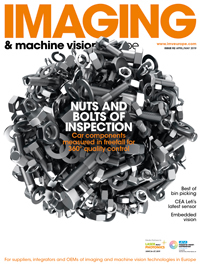 This combination has generated a good market for photonics-enabled automation applications, such as laser machining and imaging inspection. Photonics is an enabling technology, which relies on a multi-disciplinary approach. The nature of this business sector is diverse and small in volume – except for a number of consumer market segments – and it is therefore not easy for market development everywhere in the world. It is challenging for European firms to build business in China, given the additional difficulties, such as the language barrier, defining the requirements of an application, contract implementation and IP protection. V&A Photonics has been focusing on international photonics business development in China since 2010 through offices in Eindhoven, The Netherlands, and Wuxi, in the Shanghai region of China. We cooperate with technical companies like LioniX International and research institutes such as TNO to serve Chinese companies, ranging from system integrators like Huawei, to material suppliers like Chendu Special Glass. While we work with a number of technical companies from the United States, Canada and South Korea, our partners are mainly in Europe. In general, European firms are more process and solutions-oriented than Chinese firms, which are more product-oriented. Because we deal with a lot of requests in China for which there are no off-the-shelf products, naturally we work with European firms that can develop a suitable solution from concept. We specialise in telecoms/data, aerospace, optics materials, and also have close local partners that have expertise in healthcare, environmental sensing, the internet of things (IoT) and industrial automation. Our employees are experts in these sectors and are adept at scouting and visiting potential customers in China, and then defining the project requirements from scratch. This is a very necessary and key competence; without it we would be building a tower on sand. Furthermore, we have recently opened our own 6,000m2 facility in China, equipped with a cleanroom, which is available for our partners to test their solutions and for pilot production. Over the years, we have developed a systematic way of conducting photonics business incubation in China for international technical partners. We have two approaches: one is market demand in China, the other is technology pull. For the former, we start with evaluating the demands, and investigate challenging issues that often cannot be addressed using off-the-shelf solutions currently in China. If the market is solid and the technical requirements are feasible, we then try to find suitable international technical partners to address these issues, and develop these leads step-by-step, sometimes even starting from the concept development phase and working towards supplying a product to China at the end. We either co-manage these development projects or can even be the project owner, where we are responsible for the overall process towards volume production. In this approach, our business model is either commission or leading contractor, depending on the ownership of the project. For the technology pull, we start by evaluating the technology and/or product in terms of innovation and maturity. China has been developed so rapidly that it is often difficult to find a large open market to fill. The incubation candidates must have unique features for certain niche applications, and should be ready for deployment in a remote market with limited customisation and local support. The next step is promotion in China through our networks and selective conferences and exhibitions; we also have a facility for three-month-long designated exhibitions, combined with a demo. When the first sales materialise, we then move on to establish a dedicated team for after-sales services, local sourcing and local production, to facilitate the further growth of the business. With this approach, our business model is commission, sales representative or joint venture. We also work with a group of investors, quite a lot of whom are experienced entrepreneurs in photonics and understand the business very well. They tend to get involved during the later stages of the above two approaches. We also provide systematic management of IP protection in terms of personnel, information control, contracting, sourcing and legal affairs. Photonics is an enabling technology for almost every aspect of society, and China has huge demand, much of which is specific to the region. To be successful in the Chinese market, a comprehensive approach is required, from market studies to technology promotion and customised development, through to sales and services, production and sourcing (if needed), and financing and IP protection. 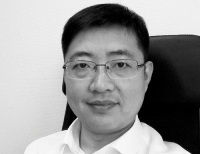 Dr Shaoxian Zhang founded Vision and Action (V&A) in 2007, which developed a number of technical centres in China for technical business cooperation and incubation in the sectors of photonics, solar energy, environment and mechatronics.